Ph.D in Political Science by the University of Florence, Professor Testoni joined IE University in 2013. Also, he is adjunct professor of International Affairs at John Cabot University, Rome, and visiting professor in the “Global Economics and Social Affair Master” co-organized by the University of Ca’ Foscari (Venice) and the ILO (International Labor Organization). Professor Testoni is a specialist in world politics, with a special focus on the relationship between globalization and military security issues. His current research project focuses on NATO and its transformations in the post-bipolar era. 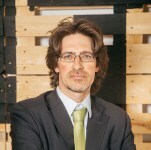 A member of the Italian Political Studies Association (SISP for its Italian acronym) and the Transatlantic Studies Association (TSA), from 2010 to 2012 he was appointed Associate Fellow at SAIS-Europe, Johns Hopkins University. In addition, he is commentator for “Aspenia”, the journal of Italy’s Aspen Institute, and collaborates with Transparency International (IT).